Spokeo is the “Glinda, the Good Witch” of background check sites, emphasizing all the positive reasons to research people and downplaying the Information Age’s darker sides. 3 How to Use Spokeo? 4 How Good is Spokeo Data? 5 How do I Cancel Spokeo? What a couple Stanford grads started as a “social network aggregator” in a Silicon Valley basement in 2006 has morphed into one of the better means of mending your long neglected social ties. 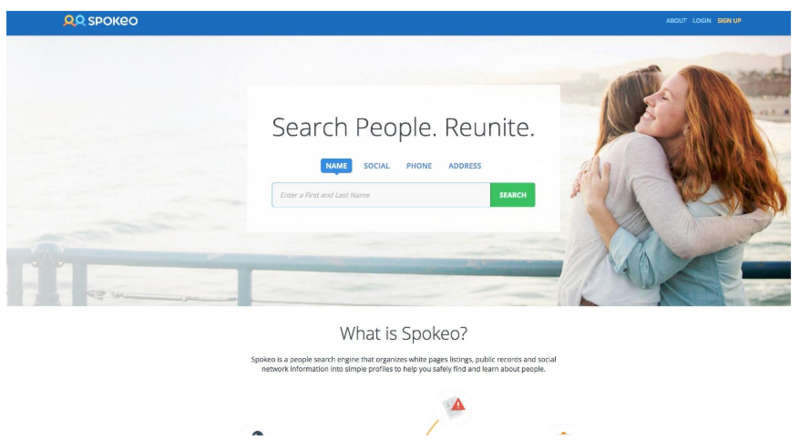 Sure, there’s some criminal info available on Spokeo, but the company’s website sends the clear message it would rather bring people together than keep them apart. Straightforward price structure is among the lowest in the field – $13.95 for a month, $7.95 a month for 3 months and $4.95 a month for half the year. Your base subscription seems to get you enough reliable, current background info to help you reconnect with someone you’ve lost touch with for a very long time. Base plan provides contact info, location history, relatives and some other bare bones personal info – enough to make certain you’ve located the right person. Searching available court or historical records is $2.95 extra, each. This portion of the process could be done in your sleep. Spokeo customer service could be among the most responsive in the industry. You can talk to a real person 24/7, unless you’d rather just handle things on your own easily online. Seems to work exactly as advertised. Simple search format is flexible enough you can include anything you happen to remember about the person you’re looking for, even if it’s incomplete, and returns a manageable list of possible matches. Once you select the most likely candidate, the extensive location history and list of relatives quickly confirms if you’ve got the right person. Some contact info appears outdated, but the most recent available is clearly identified, which should take some of the hit and miss out of getting ahold of whomever you’re trying to connect with. 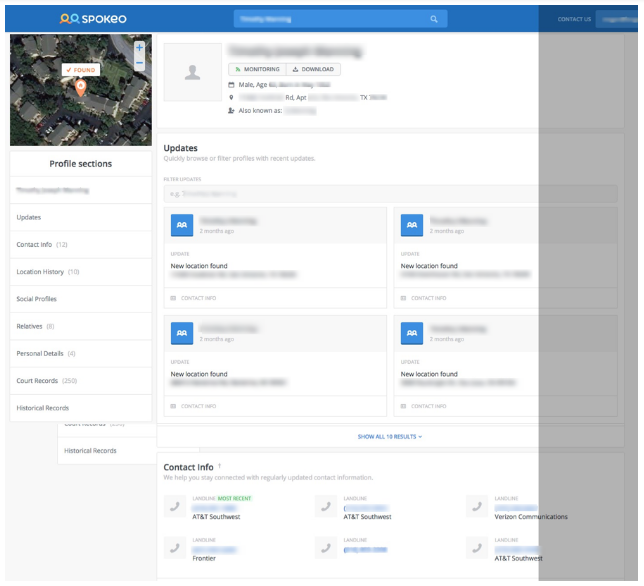 Spokeo also digs through more than 60 social networks, giving you another avenue for reestablishing those old ties. Are fairly cheap, but still might not be worth the cost, returning a lot of US Census, marriage, death and court records on anyone sharing a name the least bit similar to your subject’s (though some of this could be helpful if you’re working on a family history). 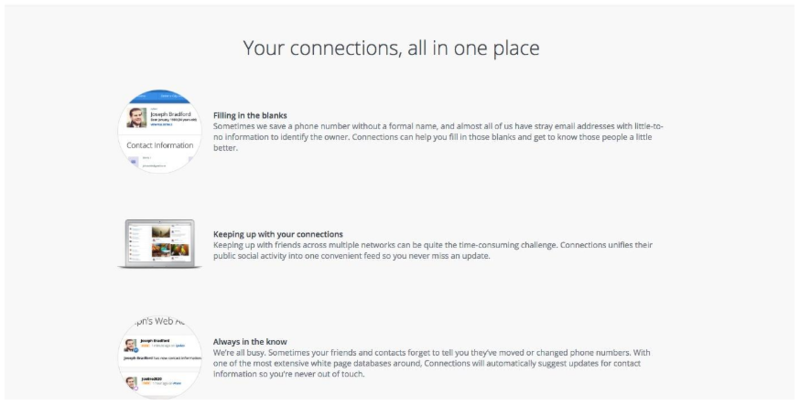 Is a unique feature that allows you to import an address book, then performs searches to update the contact info it contains, filling in a name, perhaps, for that random phone number you once jotted down. How Good is Spokeo Data? In keeping with Spokeo’s semiofficial mission of optimistic reconnection, I decided to dig up what I could on a once close friend who’d gone through some rough times before completely severing all connections with the circle of friends we shared. No one had heard from him in several years and all of us were concerned about his health and happiness. I’d tried finding what I could on other websites with absolutely no success at all, excepting a list of literally hundreds of names scattered willy-nilly around the country without out any useful corroborating evidence. My first search on Spokeo returned a single unequivocally positive result, complete with age, names, dates and places that clinched the ID. What I did not expect was my reluctance to contact him. Perhaps it was the subliminally gentle message that seems to permeate Spokeo’s website, but I was more inclined to respect my old friend’s apparent wish to start his life anew. Rather than startle him a phone call from a ghost from the past, I was content with the knowledge (supplied by Spokeo) that he seems surrounded by new friends and family, is living in a safe neighborhood and is, apparently, pursuing some of his favorite interests once again. How do I Cancel Spokeo? Cancellation was easy peasy. You can cancel anytime on website’s “Usage and Subscriptions” page, call (877) 913-3088, or send an email to CustomerCare@spokeo.com. If you used PayPal, it’s even easier: 1, Log in to your PayPal account; 2, Click “Profile” near the top of the page; 3, Click “My Money; 4,Click “Update” in the “My Preapproved Payments” section; and 5, Click “Cancel” or “Cancel Automatic Billing” and follow the instructions. That’s it! There are a lot better sites out there for digging up dirt on people, if that’s what you need in a background check. 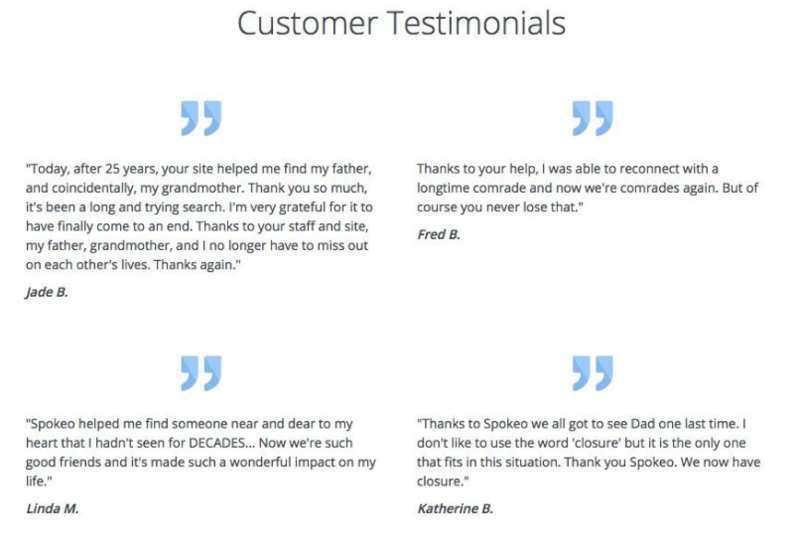 But, if you’re idly musing about what happened to an old and once dear friend or need to locate a family member you’ve lost touch with, Spokeo is perhaps the best, and cheapest, way to do it. Without really meaning to, Spokeo tangentially touches on the issue of privacy in the information age: just because you can do an extensive background check, does it mean you should?